I love working on projects that raise the game in innovation so I couldn’t be prouder of the online team’s contribution to Primedia’s groundbreaking coverage of the Oscar Pistorius trial, #OscarExtra, an online pop-up radio station running for the duration of the trial. The idea came to us a way to run trial audio within all 4 of our station’s radio station apps and thanks to our team’s creative powers it quickly turned into an amazing full-service 12hr radio station. Sounds simple right? You optimize on the biggest media event of the year by providing dedicated coverage without cannibalizing on your regular radio programming, well yes… and no. The operation of a live feed from the courtroom, a board operator, and a great radio presenter who did call-ins and commentary was pretty standard by radio standards and the online side of setting up a dedicated stream and quick turn around podcasts was one we already had waxed. However, convincing all the station heads that it was better to do this cool groundbreaking content thing online only turned out to be the most challenging task of all. It’s a good thing I’m charming because our ‘launch it now and apologise later’ strategy… well, it could have gone sideways. But it didn’t because as it turned out radio listeners like to listen to things online too, especially when at work and the internet is easily accessible. Oscar Extra was one of our most popular online projects of the year with streams surpassing any of the numbers we had ever done in online audio before! It was also really exciting to see the attention it got from the industry who thought it was groundbreaking too. I love it when a calculated risk pays off! Our team wins big at The Bookmarks! 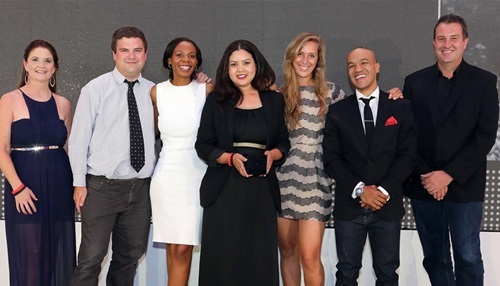 So proud of how well our team at Primedia Broadcasting did at this year’s Bookmarks Awards, South Africa’s digital industry’s very own Oscars. Our awards included a Silver for Publisher sites (mass appeal) – EYEWITNESS NEWS, a Bronze for Editorial (media – news, magazines, radio, and TV stations/networks) – 947. And the biggie fort the night an Honors Award for Best Publisher – EYEWITNESS NEWS! Beating out the biggest news websites in the country for this accolade was such a thrill for the small but amazingly talented and committed EWN team. As the digital content (mama) manager that watches over just how hard they work to push the envelope every day, I couldn’t be any prouder! 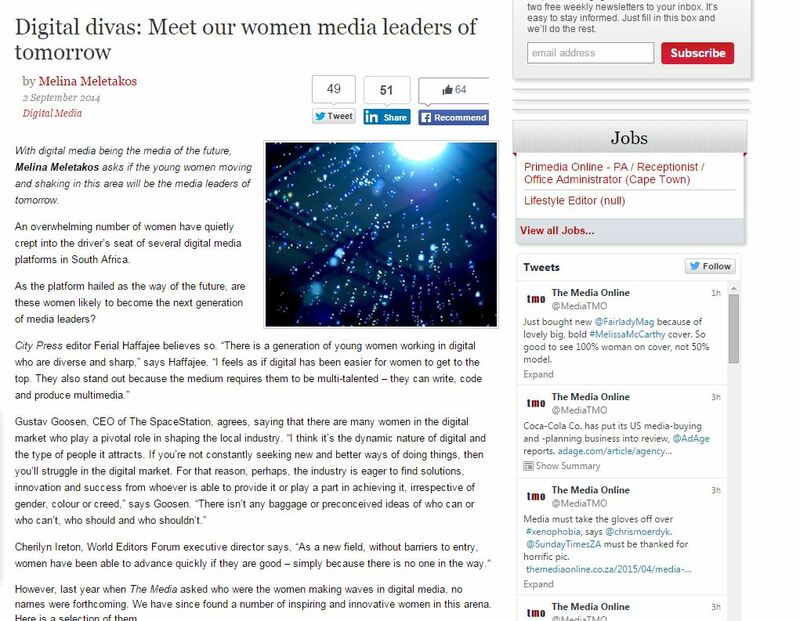 I couldn’t believe I was named “The Media’s women media leaders of tomorrow” – yay me! 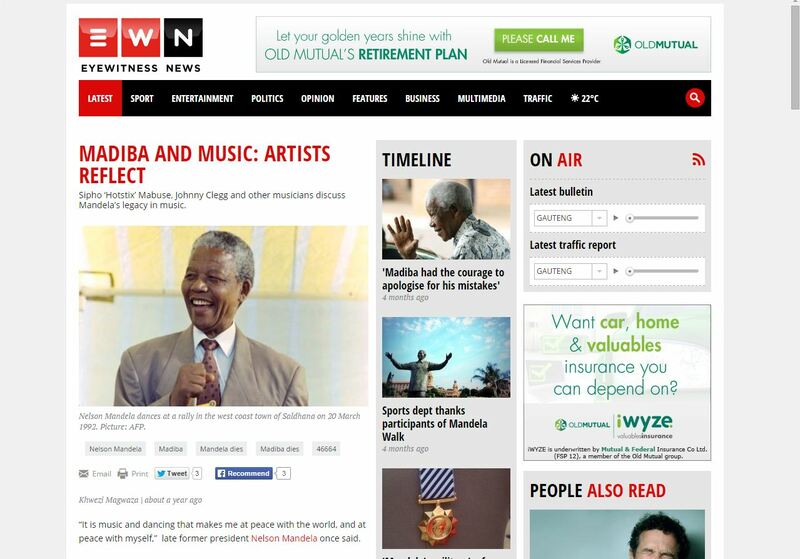 I’ve been working on digital strategy for Primedia Broadcasting over the last few months. They are the amazing media company behind brands like Radio 702, EWN, 94.7 Highveld Stereo, 567 CapeTalk, and LeadSA. My portfolio of work spans all the brands at this stage which has been pretty intense but it’s also been some of the most fulfilling work of my career particularly because of the freedom I’ve been given to push boundaries! 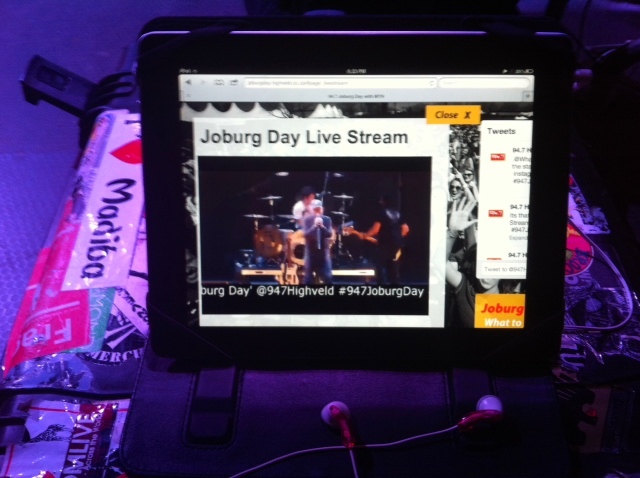 One of my highlights has to be the live stream I produced for 94.7’s annual Joburg Day Concert. My role was managing all the content elements which included, the website, social media and a 12 hour live stream. Hosted on the Joburg Day site it broadcast the concert, behind the scenes live footage and prepackaged inserts to over 50 000 viewers! 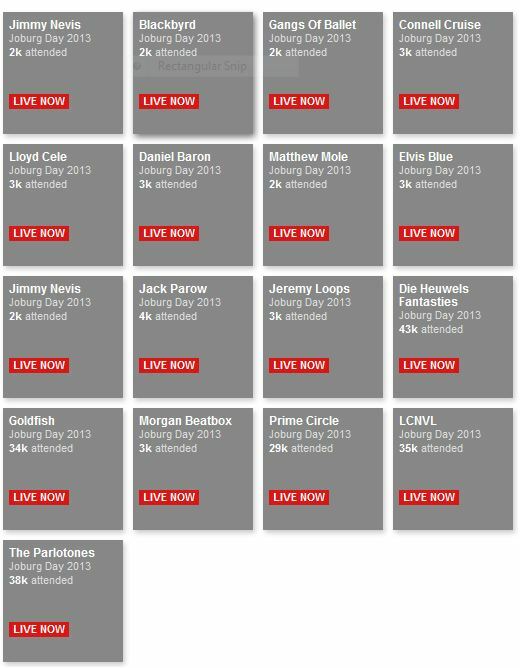 The show was one of the most watched streams of the day on livestream.com globally, and the most viewed of the week on live music portal irocke.com. 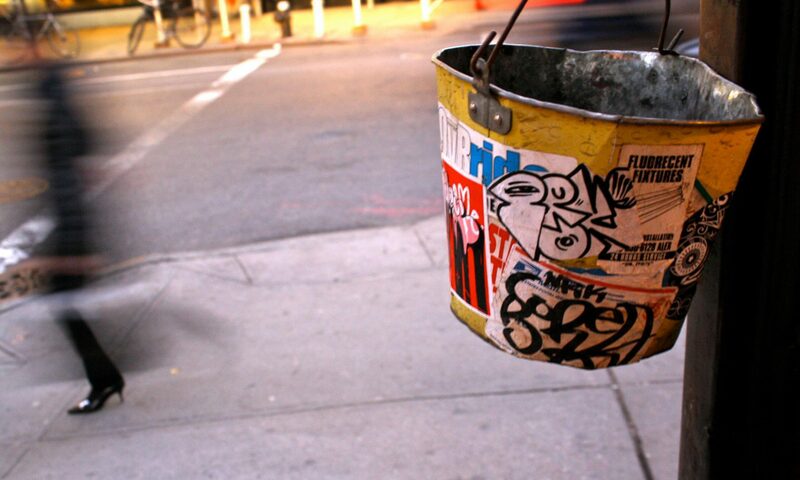 Being the no. 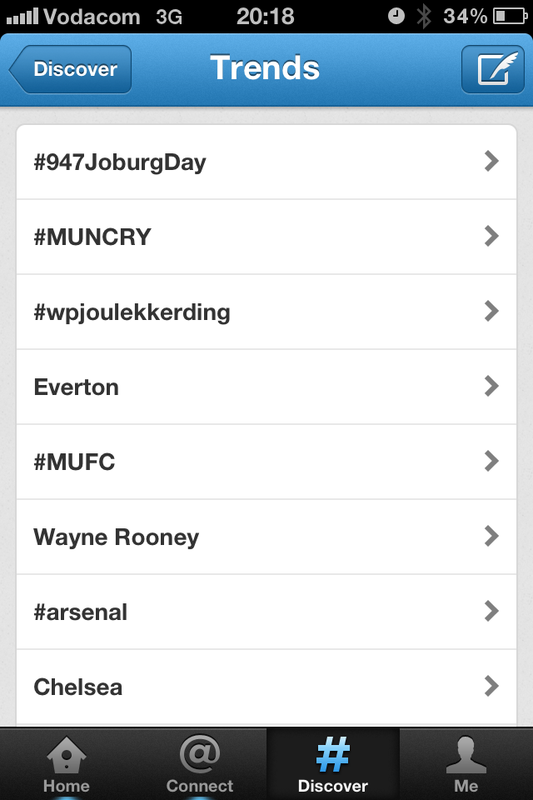 1 trending topic on twitter in Johannesburg on the day was a cherry on top! UPDATE: This is a great analysis of Joburg Day 2014…. which was a huge success!